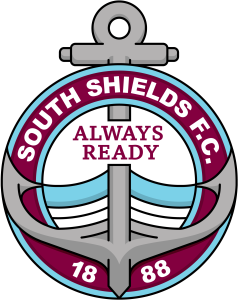 After two meetings to inaugurate and form a new official supporters’ club for the Mariners, the South Shields Football Club Supporters Alliance has been formed. To distinguish it from the former Supporters Association, and the now defunct Members Club, the title ‘Supporters Alliance’ was unanimously agreed upon. The first open meeting, held on January 16 to re-form the body, saw a respectable turn out: the next open meeting on January 30 was used to form a committee who could drive the new Alliance forward. On Wednesday, February 6, the first committee meeting was held at Mariners Park. All three gatherings were hosted and run by David Fall and Steve Cairns, both members of the football club committee. Our thanks are extended to them for helping get the ball rolling. COMMITTEE: Neil Wilson, Paul Fada, Chris Geach, Alison Cairns and Nathan Whale. • To liaise with the football club on matters of mutual interest. Applications for membership of the Supporters Alliance can be accepted now. There is no payment or subscription due until the start of next season. In the meantime, the committee will aim to develop a strong base for the club, with the aim of being fully functioning for the beginning of the 2019-20 season. Membership has been agreed as £5 for adults, £3 for concessions and £1 for under-14s, and a family membership for two adults and two under-14s will be available for £10. One of the main intentions of the Supporters Alliance is to liaise with the club’s management. In doing so, the hope is that the club will be able to offer Supporters Alliance members discounts and benefits which will be exclusive to Alliance members. The introduction of any such schemes is planned to be in place for the beginning of next season. Another open meeting of the Supporters Alliance is being held at Mariners Park on Wednesday, February 20 at 6.30pm. All supporters are welcome, and forms will be available on the night to make your application for membership of the Alliance. There is also to be a Facebook page set up, which will be open only to members: search on Facebook for “South Shields FC – Supporters Alliance”: you will be entitled to join the group when you have had your membership of the Alliance confirmed. Another aim and purpose of the club is to form a firm bond between supporters and club. Whilst the groups already in existence (such as All Things Mariners and the various branches) are strong and well supported, it is recognised that the club needs to have an active official supporters club. In no way is the Alliance an attempt to usurp or unbalance those groups: the Alliance is to bring into play a body which can act in the best interests of Mariners fans and the groups by arranging benefits, discounts, promotions etc. We will keep you posted!